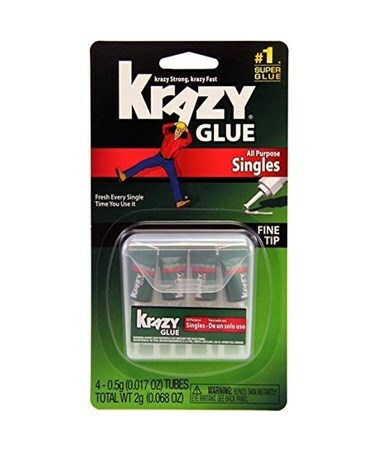 The Elmer’s Instant Krazy Glue Single-Use Tube (4-Pack) is a general purpose liquid glue ideal for office, home, and DIY projects. It instantly bonds a wide variety of materials including wood, plastic, metal, rubber, glass, leather, vinyl, ceramic, and many others. It includes four 0.5-gram (0.017 ounce) single-use tubes providing two grams (0.068 ounce) of strong adhesive in convenient applicators. 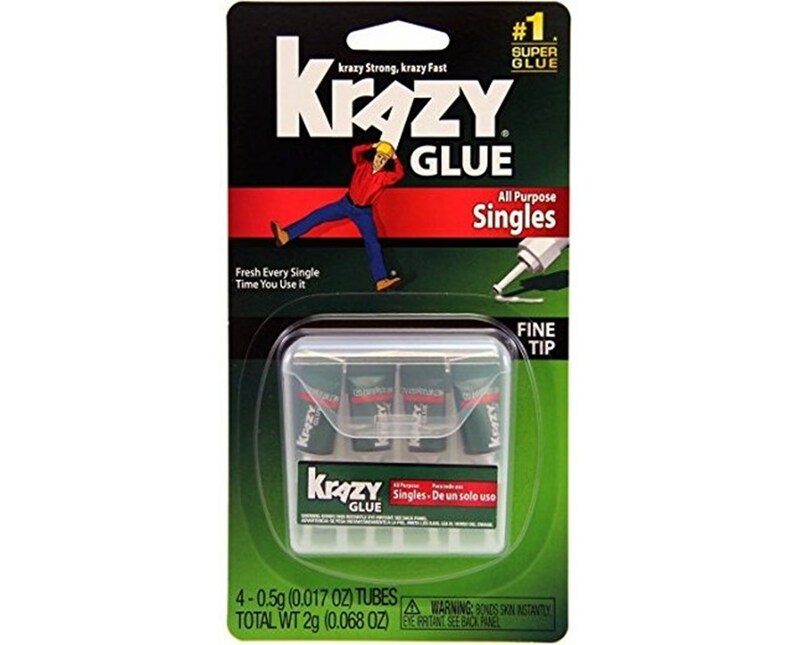 The Elmer’s Instant Krazy Glue Single-Use Tube (4-Pack) features a self-piercing nozzle that allows easy opening just by twisting it. Its fine tip ensures accurate and precise glue application for mess-free and no-waste use. Compact enough to fit any purse, briefcase, or toolbox, it is portable and easily accessible for all bonding needs. It is equipped with a convenient plastic case for storage and transport.